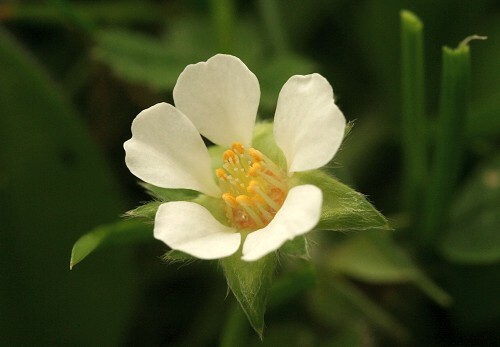 Barren Strawberry has five white petals which are separated to show the green sepals behind. The leaves are dull, hairy and tri-foliate with serrated edges. The tooth at the end of the leaf is shorter than the other teeth, giving the leaf a more rounded appearance. 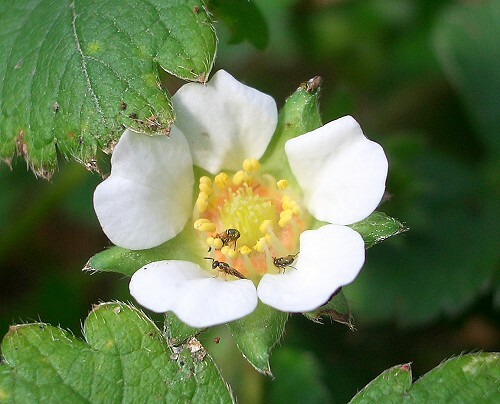 As its name suggests, the Barren Strawberry does not have the edible fruits of other strawberries. It is found in woodland and scrub. The Barren Strawberry is very similar to the Wild Strawberry. However, the petals and leaves of the Wild Strawberry are larger and the petals touch each other. The leaves of the Wild Strawberry are bright and glossy.